Our goal at Greater Nashville UU Congregation is to have financial sustainability. It takes support from all of us to make this happen. 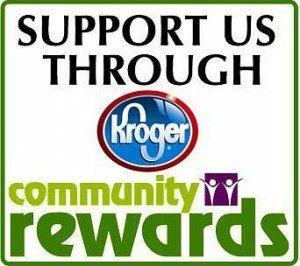 There a many ways to support us financially - through making a pledge, donating to a restricted fund, making a legacy gift to our endowment fund, supporting our annual auction in March, designating us as your charity in Amazon Smiles, and using a GNUUC prepaid Kroger card. Click here to fill out the Pledge Card Form and/or setup monthly payments. Consider making a donation to one of our restricted accounts. These accounts are special accounts that can only be used for specific expenses based on their missions. Contingency Fund: The contingency fund is a reserve fund to help balance our budget due to a crisis in funding, such as a loss of donors. Building Capital Fund: The Building Capital Fund supports the growth and maintenance of our church building and grounds. It can be used for large item replacement purchases, such as air conditioners, roofing, carpeting, or re-pavement. It can also be used for new purchases. Youth Scholarship Fund: The Youth Scholarship Fund / Youth Fair Trade Fund is used to send youth to General Assembly, Mountaincamp, youth leadership opportunities, and local youth conventions. Youth cannot use the fund to go to the same event more than once. Larry Romans Leadership Fund: The Larry Romans Leadership Fund is used for leadership training of congregational members. Priority is given to leadership that will benefit the growth of GNUUC. Memorial Garden Fund: The Memorial Garden Fund is used to maintain and improve the Memorial Garden. Playground: The Playground Fund is used to construct and maintain a safe playground for children and youth of the Congregation. To donate to a restricted fund, write a check with the restricted fund's name in the memo field. You can also donate to the restricted fund via the Give Now button in Breeze. To see the Restricted Fund Policy, click here. UPDATE: The 2019 Annual Action raised over $12,000! A BIG THANK YOU to all those involved! Our largest fundraiser of the year, our Annual Auction, is March 2, 2019. This fun filled evening is family friendly and childcare is provided. Bid on art, event tickets, social events, and more! All ministry teams, members, and friends, it is never too early to start thinking about what you can donate to the auction. Also think about themes for baskets that you can put together. The themed baskets last year doubled the income from the Silent Auction!